In 1988 Mercedes and I acquired 47 Forrest St Subiaco, a paper factory built circa 1968. We created two luxury homes and a boutique office from the existing fabric. The rear residence was our family home for four years. We loved it but new challenges lay ahead in the Central CBD... Box Building. 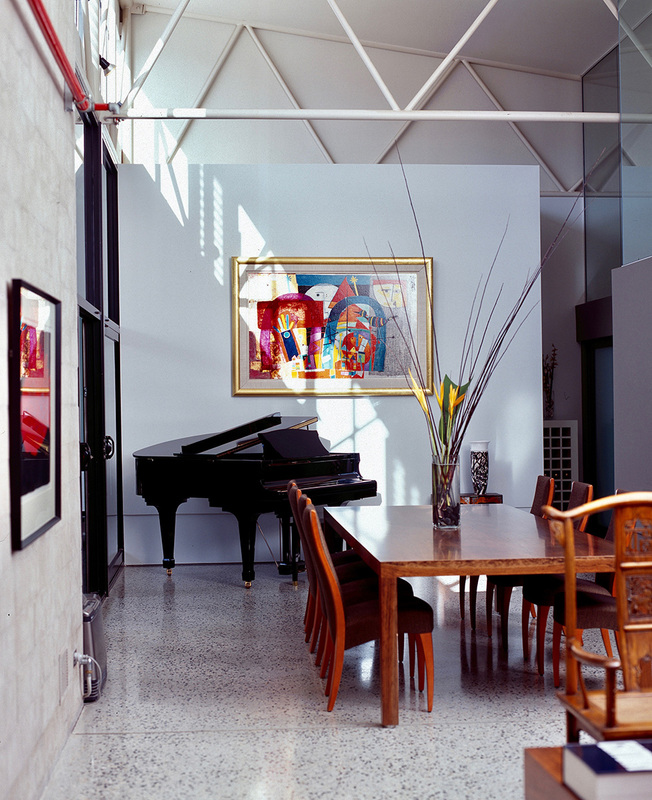 The residence, shown here was amongst the first inner city warehouse conversions and was purchased in 2003 by H and C who still reside there. In 2014 we were enormously proud to be asked to carry out further work on the unique residence for H & C so as to meet their changing needs. They too love this unique space. A true idyll in the hurly burly of Subiaco. Architecture that is responsive and readily adapted is what we strive for.